If you are hunting for an audio extractor software that captures audio, sound, or background music from DVDs, DVR recordings, HD video footage, YouTube videos, and other video files, go ahead with Pavtube Video Converter Ultimate. And it is free, as long as you are to extract audios from Blu-ray Discs, DVDs and AVI, MKV, MP4, WMV, MPEG, MPG, FLV (Flash Video), MOV, MP4, 3GP video files. You can save the audio track to MP3/ WMA/ WAV/ AAC/ AC3/ MKA/ FLAC files. With the trimming function, it’s quick and easy to take an hour’s footage and extract only five minutes’ for fun. Step 1. 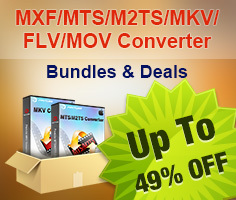 Run the software and load Videos or DVD(s) to the Video DVD Audio Extractor. To import AVI, MKV, MP4, WMV, MPEG, MPG, FLV, MOV, MP4, 3GP videos, click “Add Video” and browse to source. To load Blu-ray Disc or DVD, just place the disc in BD drive/optical drive and click “Load disc” to import DVD movie. Step 2. Set output audio format from the “Format” bar. Click on the “Format” bar and choose “Common Audio”, here you find MP3 and various other audio formats (wav, m4a, ogg, ac3, wma, aac, au, aiff, mp2, flac, mka) for you to choose from. 2. In the Settings window, find “Channels” and select “5.1 channels” from its drop-down list. Step 3. 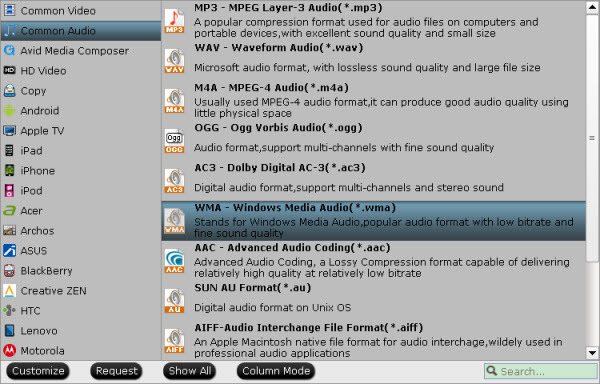 Extract MP3/ WMA audio from DVD and videos. Click the "Convert" button and the Audio Extractor will convert audio from DVDs and video files and output them to MP3/ WMA or other desired audio format. Tip 1: how to trim/extract a section only, instead of full-length audio? This is a very basic but pretty helpful editing feature. 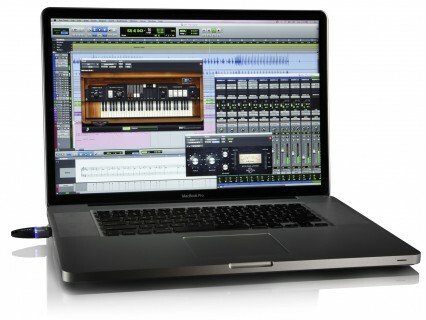 It is very simple to extract partial length of sound track from videos. To use the Trim function in the Editor, simply select the item you want to trim, click “Edit” button, then switch to “Trim” tab. Play the video while setting start time by clicking “[“ and end time “]”. Tip 2: How to extract multiple audio tracks into one file? To extract multiple audio tracks as one file, just check the box “Merge into one file” before the software starts extracting audios.